From the concept of "ending all wars" to the epicness that is the song of "Last Impression" I can't say how much hype this movie gives me. Every time I watch it it makes me think about how meaningless conflict is in the world... and how awesome Gundam is. Just like the anime, I can't suggest this movie highly enough. 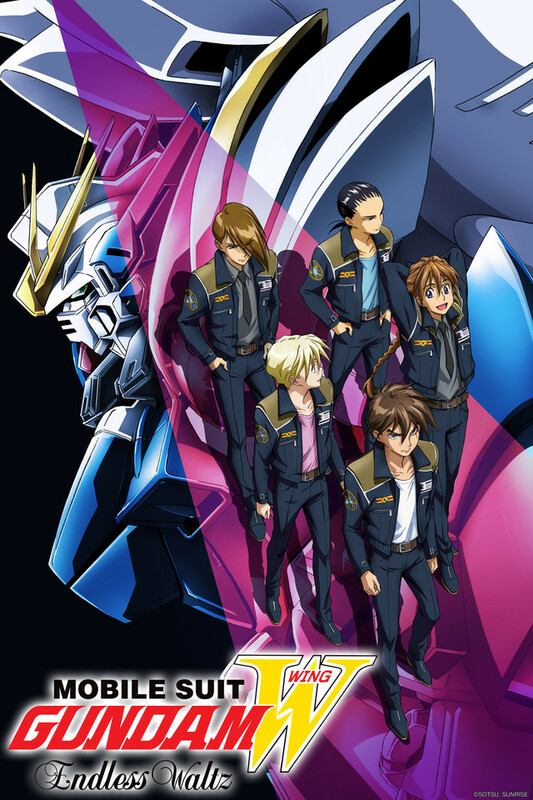 If you've seen the Gundam Wing anime then it's time to watch the movie. The anime had a great ending, but this is the whipping cream with a cherry on top. I can't say enough about this. I prefered the episodic version, but this is a perfect epilogue to the Gundam Wing series. I watched the series the first time on Toonami way back in 2000, and they stand the test of time. Good story, good characters, good Mech battles. I strongly recommend both. My favorite Gundam Movie and Iv seen every single Gundam movie known to man, in fact Id marry this movie, take this movie out on a date with me and ultimately have successful talks with friends about how awesome this movie is. Lastly Thank you Crunchyroll for adding these. Great anime movie based off a great series.